John, himself a Leicester Tigers Rugby Union fan, former player and Chairman of Melton Mowbray RFC, decided that submitting a team in their annual corporate 7s event would make for an excellent corporate hospitality event. He has refereed at them all since the tournament began four years ago and this year was no exception. 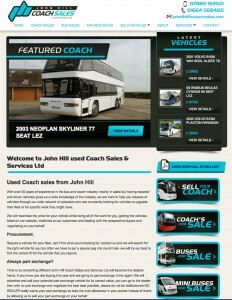 The 12 man strong John Hill Coach Sales team was made up of local players from the Melton Mowbray and Belgrave clubs. Despite a win and several close matches, the team was in a tough draw and unfortunately didn’t make it through to the quarter finals. He soon realised that being a one-man operation was no longer possible and six months ago he took on Alan Wade, a fellow senior official from Melton Mowbray Rugby Club. John sees Alan as his protégé and has enjoyed sharing his vast wealth of knowledge and experience in the coach and bus industry with him. ‘The plan was to keep him for six months and then release him to the industry,’ John joked. I asked him how difficult it was to sell a vehicle to someone who has operated coaches for years. ‘The website helps because they know exactly what they are getting before they come. John constantly tests my knowledge. We will be driving somewhere and he will point to a vehicle and ask me what it is.’ ‘It’s a red bus!’ they laugh in unison. 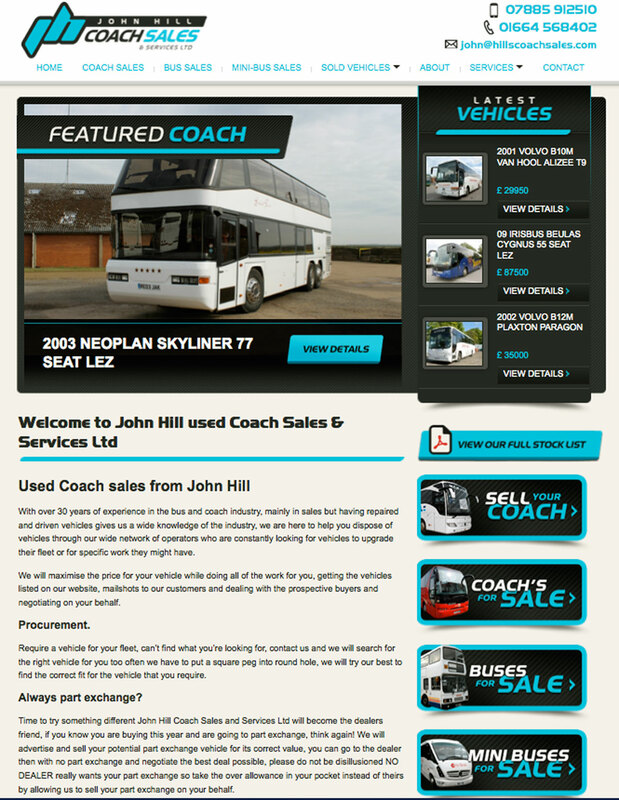 John Hill Coach Sales have sold over 100 used vehicles in its first year, with John’s personal best being nine coaches in one week. 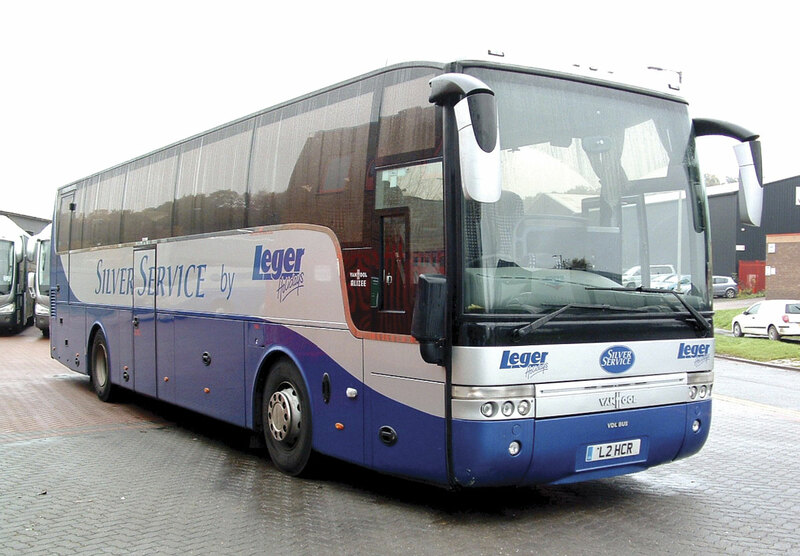 They are well on target to beating the total this year with over 50 coaches already sold, an incredible achievement and one John didn’t expect. ‘I had no concept of how well it was going to take off and certainly didn’t expect it to the extent it has,’ said John. 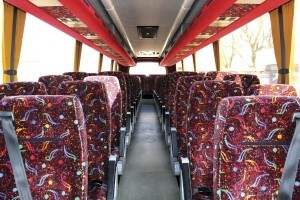 The website is very user friendly, clean, simple and easily navigated. 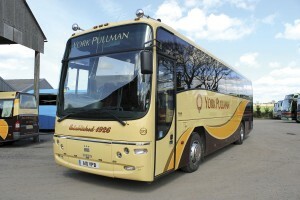 Vehicles are split in to coaches, buses and minibuses for sale with a featured coach that changes regularly. John admits that they are not afraid to research and seek someone else’s advice regarding valuations, often, only to find that they are the same as he had anticipated. The inability of the potential buyer to obtain finance has prevented some deals from completing. 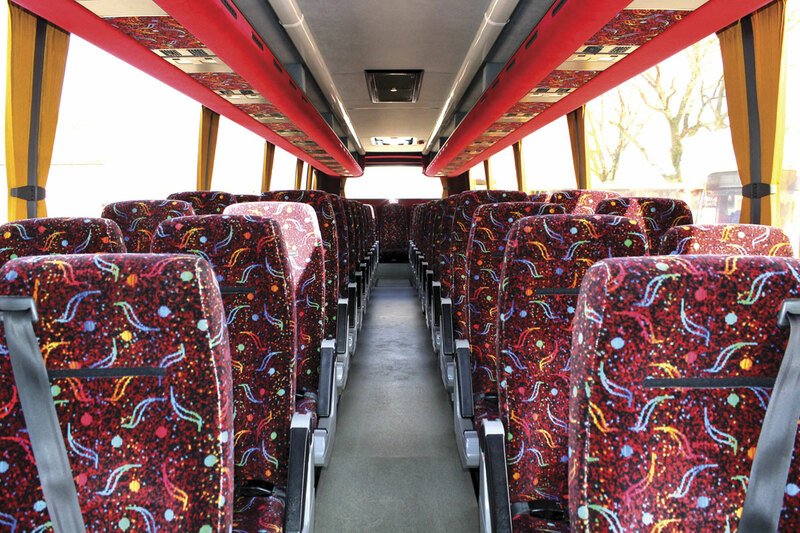 This has proved very frustrating when so much work has been put in but there are no immediate plans for John Hill Coach Sales to offer finance themselves. 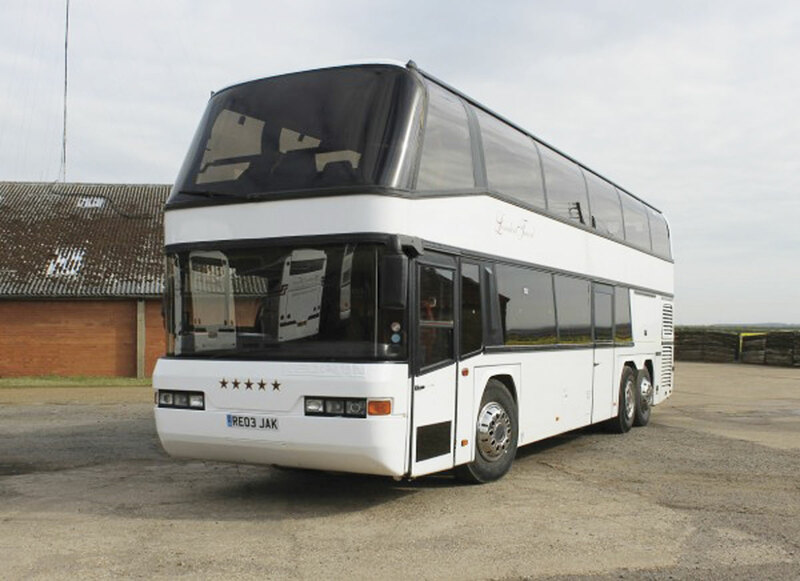 They continue to promote themselves with on page advertisements (see page 27) and John has also invested in a large stand at this year’s EuroBus Expo. ‘I have had a really nice, professional looking stand designed where we can entertain clients. It is all about perception. It is important that people see me as a professional in the used coach market. I’m not a one man band.’ As the majority of the business is based in the south of the country, John hopes to expand his operations further north. I asked John what the last year had taught him and what he would have done differently. ‘The trust that people have had in me has been great and it has gone better than I could have imagined. I have proved myself but I need to work smarter, not harder. We offer a good service but I want to make it even better and I will be able to do this when we have the new administrator. At the moment we are reactive and deal with what’s in front of us.